Dress up in your best festive gear and come out to celebrate film! There will be prizes for the best dressed. Join local filmmakers, crew, actors, casting, screenwriters, producers, directors, and agents, as well as vendors, investors, and supporters of the Film and Television Industry in Pennsylvania. 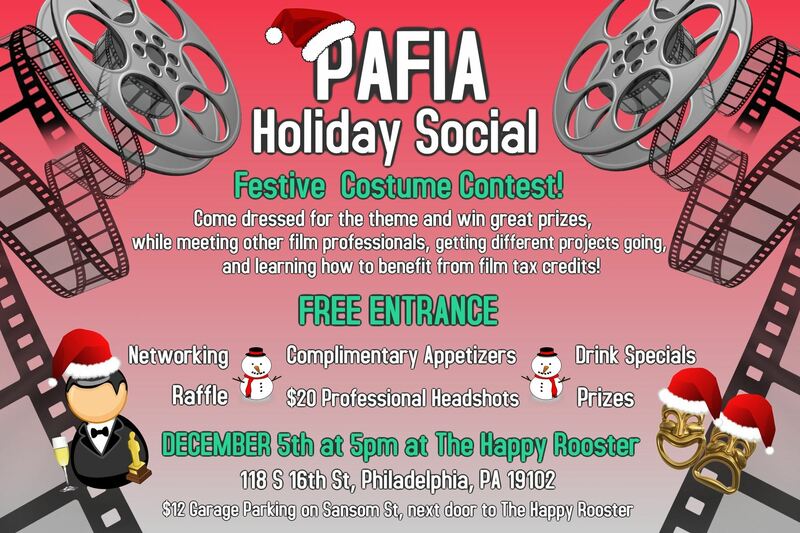 PAFIA socials are a great place to meet like minded professionals, get different types of projects going, and find out the scoop on new productions. We will have a photographer from 5 pm - 7:30 pm and you can get professional new headshots for just $20! We will also have a raffle and PAFIA, SAG-AFTRA, and IATSE members will get double the number of tickets purchased.